The way we design and decorate our homes says a lot about our personalities and personal taste – and our kitchens are no exception. 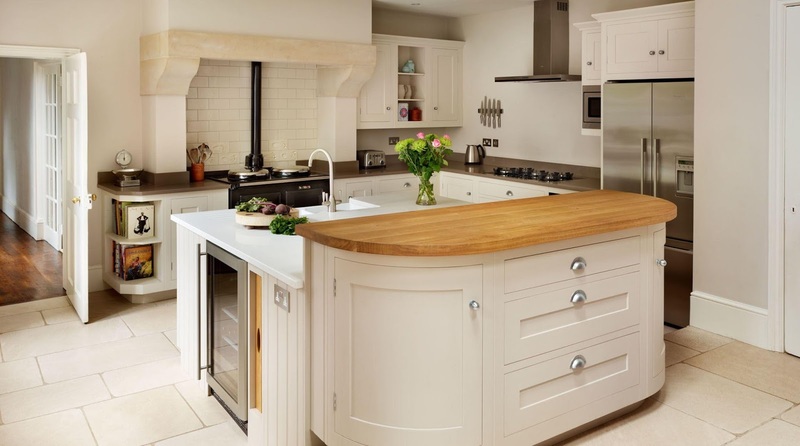 We design our kitchen to suit our lifestyles, which is why they can say a lot about the type of cook we are. Kitchen experts Harvey Jones have stacks of ideas to suit every type of cook – which cook are you? Is the kitchen your favourite room in your home? A place you feel relaxed and at your most comfortable? If you love creating culinary creations and experimenting with new flavours, then you are certainly the Master Chef. You love hosting dinner parties to show off your latest recipes, and spend hours preparing and cooking three-course dinners. Your dream kitchen will be a top-of-the-range suite with all the latest professional kit so that your meals are 5* restaurant standard. Hi-spec, built-in ovens, large fridge freezers and a hot water tap will most likely be close to the top of your list. These professional pieces of kit will not only make your kitchen life easier, but will be the stars of the show in your stylish kitchen. Do you love baking fresh goodies for the whole family to enjoy? Is your kitchen the heart of you home? Well, as a Family Baker your kitchen will most likely need to be a family-friendly kitchen, safe for your children to enjoy just as much as you. As a central focal point, a dining table or an island is a perfect area for you family to gather at the end of a long day to eat and laugh together. But for your little ones, you’ll need to make sure you safeguard your kitchen. Cupboards and worktops with gentle curves prevent sharp accidents, while soft close or push to open cupboards mean little fingers can’t be jammed. Pick durable, non-slip flooring that’s easy to wipe if everyone including the dog troops in after a muddy winter afternoon in the garden, as well as a matt finish that won’t show finger marks so easily. With little ones around, you’ll need your kitchen work surfaces, cupboards and tables to be easy clean as well. Finally, a larder, where baking goods can all be kept in one place, and plenty of internal plugs so you can leave your mixers and blenders ready to go but still out of sight, are great investments for a home baker. Just because you don’t enjoy spending time preparing lavish meals, it doesn’t mean you can’t have a beautiful kitchen. You need a stylish kitchen but with all the fabulous time-saving devices available. Shaker kitchens are perfect for the no-fuss cook. There are great appliance choices for the reluctant cook, which include multi-functional combination ovens with pre-set recipes, or a modern range topped with five powerful gas burners that will make quick work of stir-fries. The latest American style coolers have deep shelves too, which are perfect for holding large pizzas and plenty of drawer space for as many bung-in-the-oven meals as you can grab from the supermarket in one go. With a stress-free kitchen, you can knock up meals in a few minutes without the faff of using all your spare time prepping and cooking your dinners.